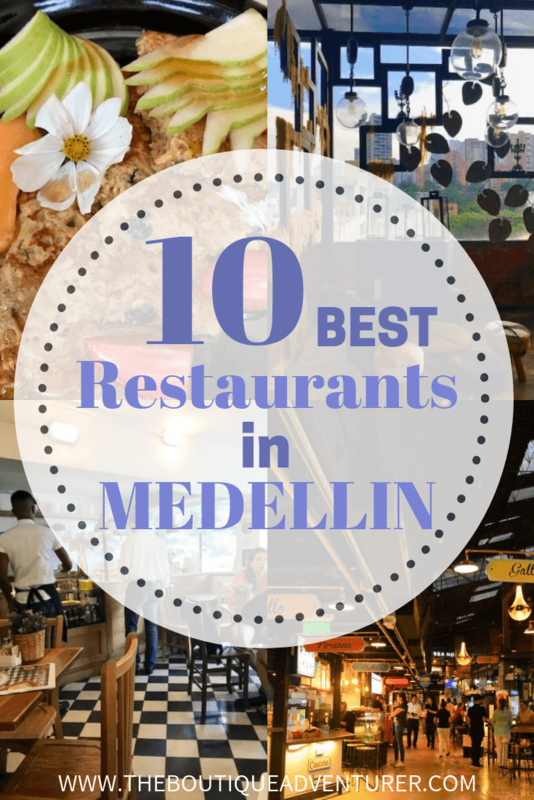 Best Restaurants in Medellin: The 10 Restaurants & Cafes Not to Miss! I spent a month based in Medellin in August and absolutely fell in love with it! I was lucky enough to be in town when the biggest festival of the year Feria de Las Flores was on, had a very photogenic day trip to Guatape and saw the key sites from Narcos on a Pablo Escobar Tour. Check out my list of What To Do in Medellin. In addition to all this boy did I eat! 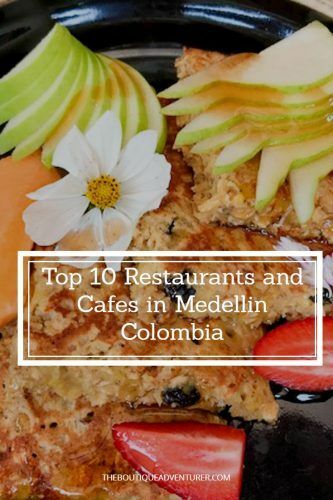 There are some brilliant restaurants in Medellin as well as cafes. There is an astonishing amount of variety and fusion and new places popping up every day. 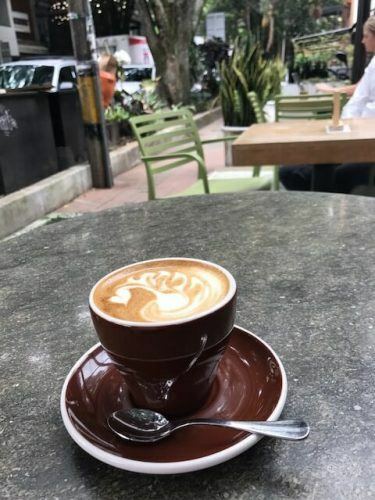 Medellin is a big place so I have focused on the El Poblado neighbourhood in this post with a couple of exceptions. This is where I stayed so where I ate the most and it is where most tourists stay. It is also known as a key restaurant area in Medellin. 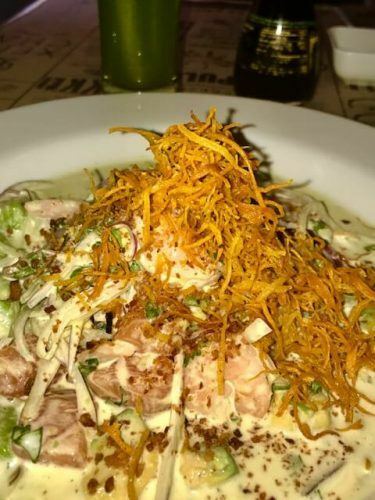 The biggest surprise for me of the Medellin restaurant scene is its amazing value! Even the most expensive restaurants would be considered cheap in other big cities. The quality and serving sizes are not compromised. I would say this is the best value eating destination I have ever visited. So I highly encourage you to take advantage of this whilst in Medellin and eat eat eat! Medellin does have an international airport although the number of flights is quite limited. The airport is about a 45 minute drive from the centre of town. I flew with Iberia when I went – Read my review . 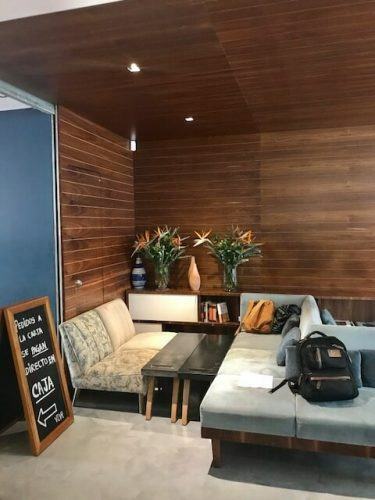 There are loads of internal flights in Colombia and they are usually quite cheap. As the country is so mountainous car journeys are long and twisty! So flights can be cheap and fast. Medellin to Colombia only takes half an hour and there are flights every hour. Bogota is the main international airport in Colombia. And if you’re planning your Colombia Trip don’t miss my 2 Week Colombia Itinerary post. Mondongos is one of the most famous “classic” Colombian restaurants in Medellin. This place is frequented by locals, presidents, tourists – pretty much everyone! It has a great location in El Poblado on Calle 10 – right in the heart of everything. The menu is classic Colombian. 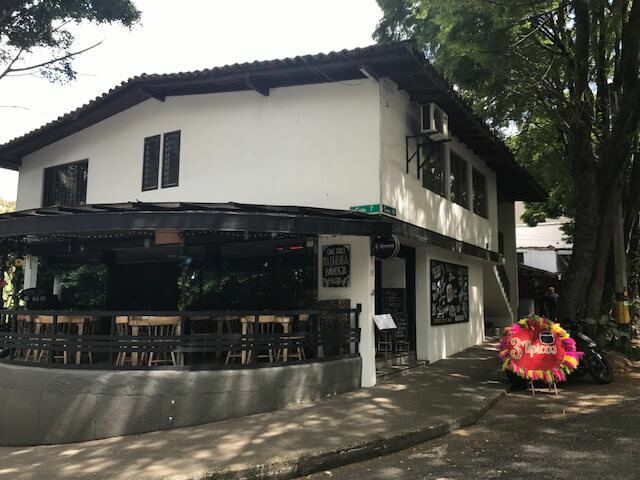 They have the Bandeja Paisa classic – this is probably the place to have it! 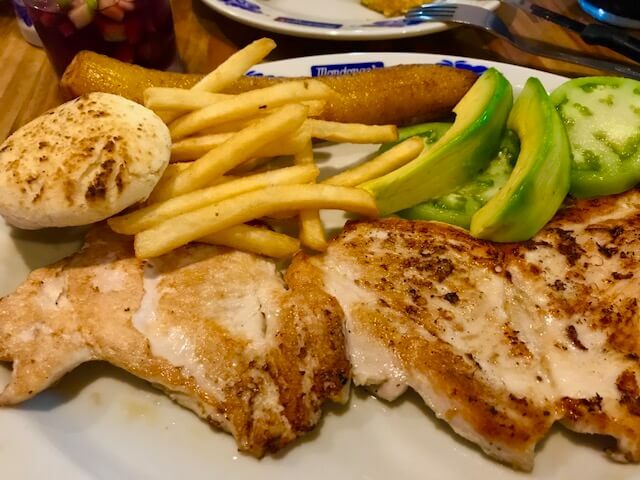 I had the chicken which was basically grilled chicken with a massive side serving of avocado (I love how liberal they are with the avocado servings in Colombia!!! ), loads of salad, those plantains of course as they are served with everything. They are most famous for their tripe soup or Sopa de Mondongo. 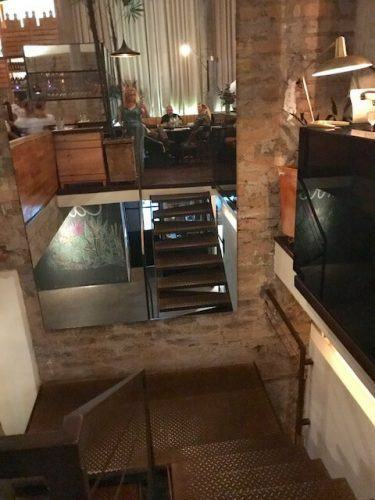 This was my second favourite restaurant in Medellin! 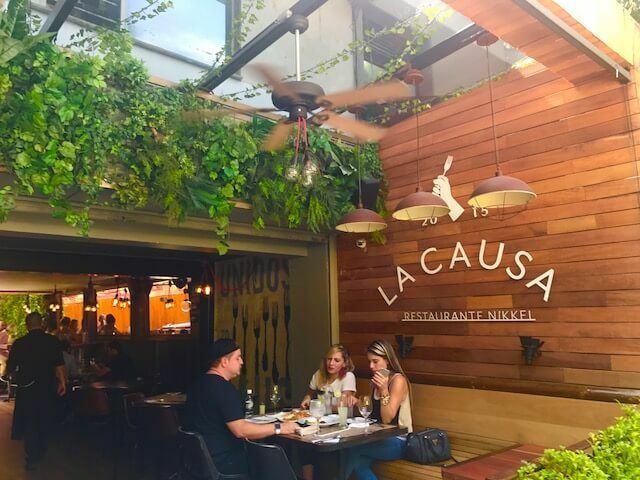 La Causa is a mix of ceviche, sushi and revolution! 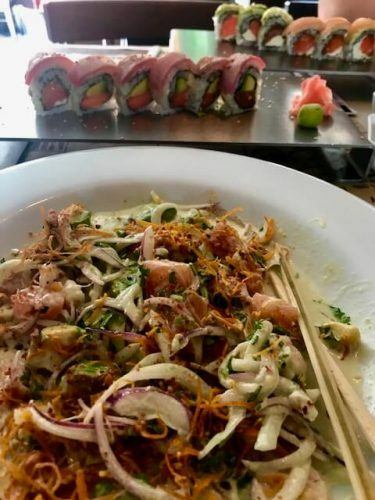 The menu is extensive and everything sounds amazing with La Causa (ceviche with a bit of a milky sauce that tastes amazing) mega fusion sushi and classic ceviche and sushi. I think I went four times and it was always amazing! 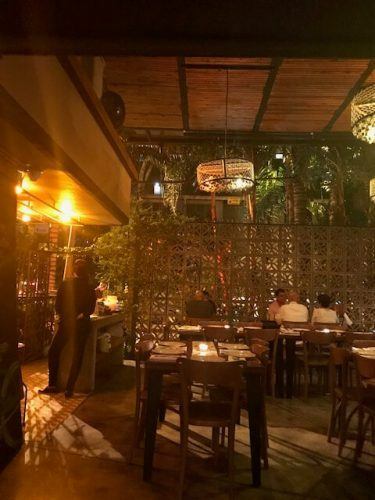 Carmen is one of the most famous upmarket restaurants in Medellin. We went as a big group on a set menu. 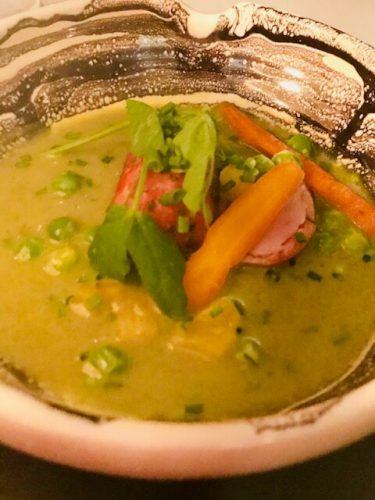 Alas, it was a bit of a difficult evening as it turned out the most of the group had food allergies/issues which made the Carmen Medellin set menu pretty much unworkable and took some time to figure this out – the poor restaurant nearly went bananas! This meant that I drank a lot of wine while this was being figured out and ended up a bit drunk by the time the food came! So I remember Carmen Medellin was absolutely delicious, I have quite a few slightly in the wrong spot photos and there was lots of it! 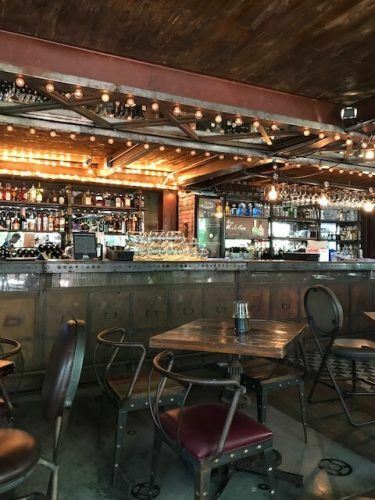 The restaurant is quite big with a bar area, a rear patio and an open kitchen. 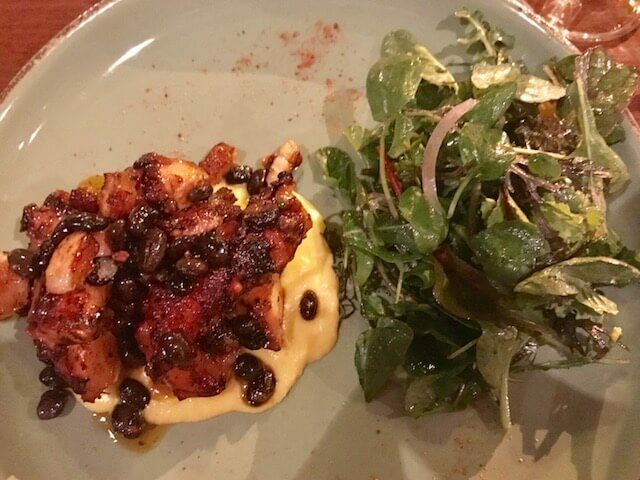 Oci was my number one favourite restaurant in Medellin – if you only go to one restaurant go to Oci Medellin! And I would highly recommend that you book as it gets booked out. The food is amazing! 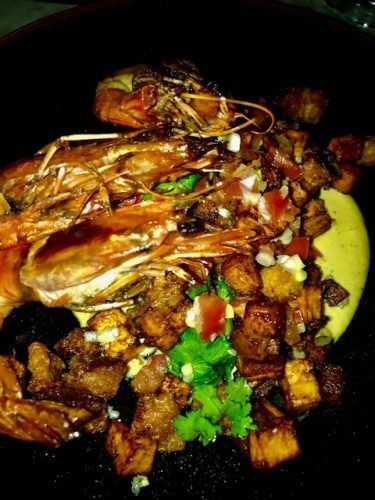 It is a mix of modern European with some Colombian influences such as the amazing Chicharron. 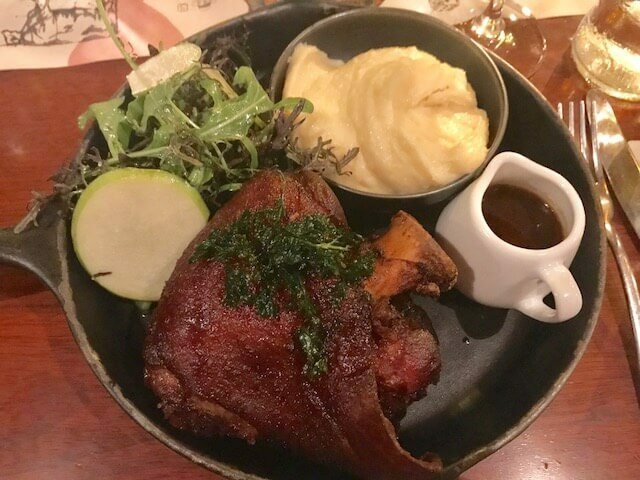 Long cook is the speciality of Oci Medellin Parisian trained chef. They also have a super cute little bar where you can eat. 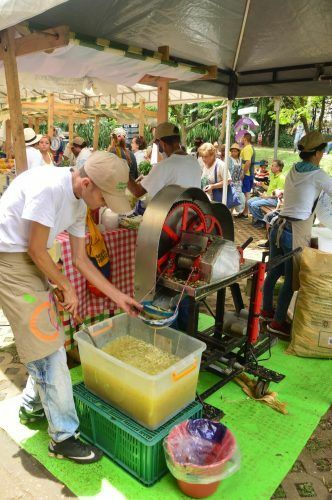 There are quite a few Crepe and Waffles in Medellin. 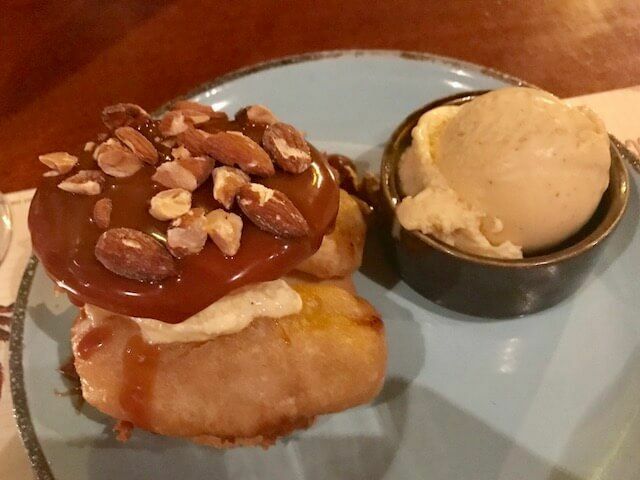 This is one of those local chains that everyone loves – and with good reason. Let’s start with their employment policy. They choose to employ women who have experienced difficult times which is fantastic. 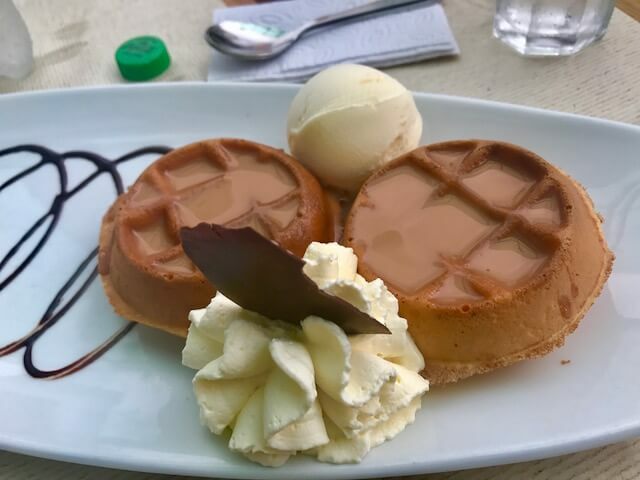 And of course the waffles! They are of course best known for their crepes and waffles and my gosh they are good! There is a very long menu with every type of flavour from savoury to sweet. This also means that the same menu works well for breakfast, lunch and dinner! They also stock some absolutely amazing ice cream. I bought a tub of the salted caramel/arequipe and it disappeared fast! I also heard a rumour that they have an amazing value take away salad offer. I am afraid I never got past the appeal of the crepes and the waffles! A must visit! Mondoverde became my go-to lunch place! 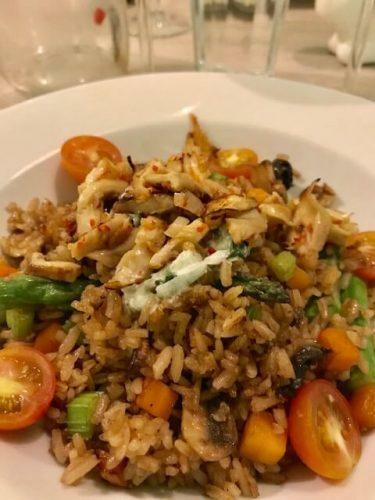 They have a fantastic super healthy menu where you can either put together your own salad based on a formula or choose one of their suggestions. They also do amazing juices. The perfect place for a healthy and tasty lunch. I found Verdeo to be a slightly odd restaurant. 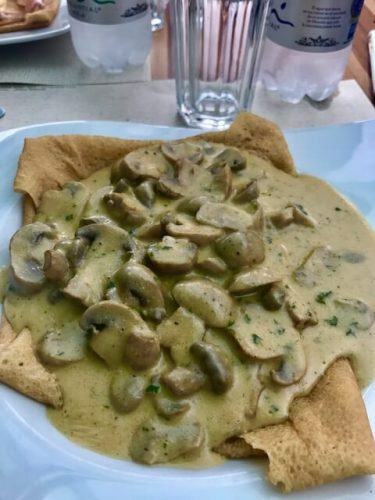 It is vegetarian and quite innovative. The food was okay but not amazing. However, I am not a vegetarian so if you definitely give it a try. Great lunch spot. Healthy salads, wraps and juices. Check out all my Favourite Travel Stuff Here! 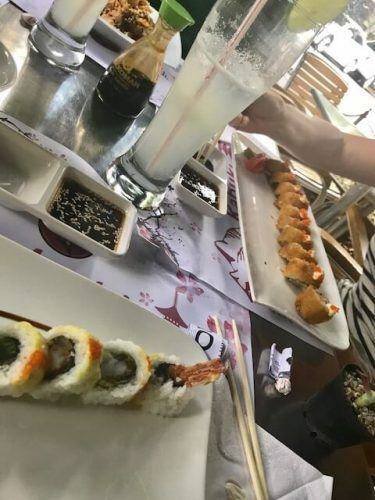 Good Japanese at the edge of El Poblado. Meat-heavy! 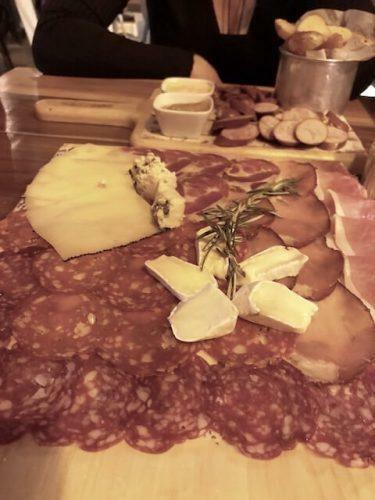 They do a great charcuterie platter and are also known for their cheese fondue. Good wine selection. Nice mix of outdoor and indoor seating. Relaxed seafood-heavy restaurant with some Italian and classic Colombian thrown in. Very good Japanese but has the bad luck of being next door to La Causa – and I would always choose La Causa! Key Tip: Most of the restaurants listed above do sell some type of wine. However, I highly recommend you order wine by the bottle rather than the glass. A glass of wine in Colombia is more like a thimble of glass – they pour very very lightly! Not only does the wine disappear fast it ends up being much more expensive to buy wine by the glass than to get a bottle. So I would suggest just ordering a bottle. You can most likely take it with you at the end of the night if you don’t finish it. 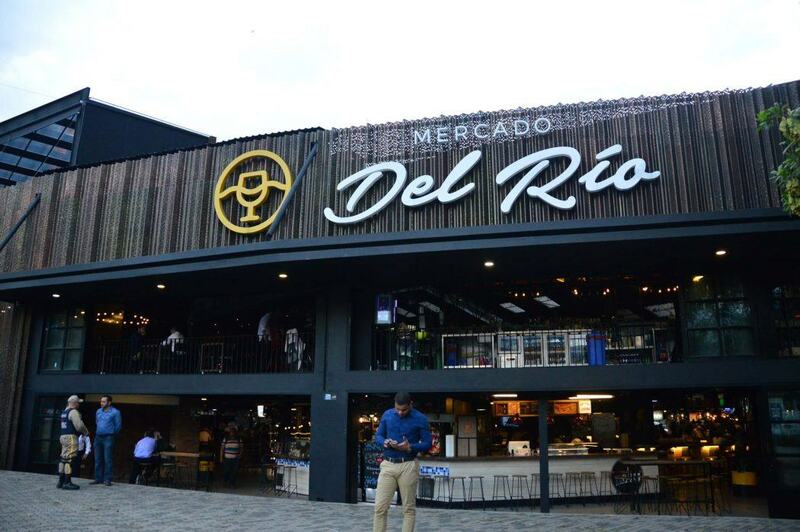 Mercado del Rio is a fantastic conglomerate of over 40 small stalls/restaurants in the heart of Medellin. 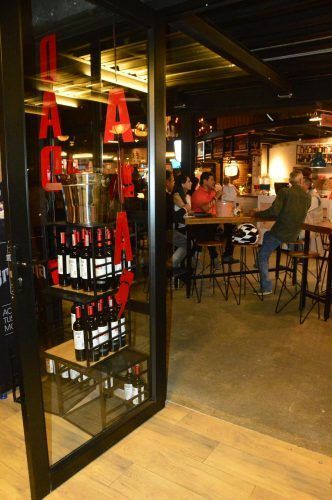 There is also a fantastic wine bar there (you can bring food in to have with your wine) and a couple of more formal restaurants upstairs. The key reason to go is the amazing selection of different cuisines. There are quite a few stalls that do upgrades on Colombian classics like arepas. 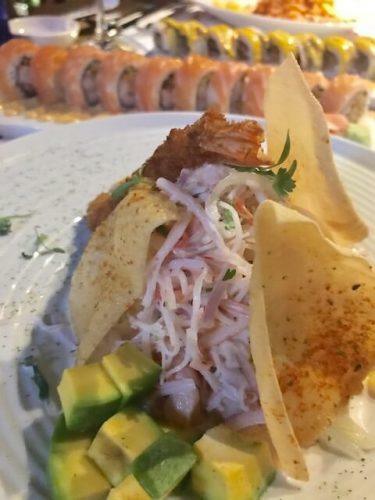 Then there is pretty much every other cuisine you could imagine – from bbq to Japanese to Mexican. So many food options at Mercado Del Rio! But if you only eat one thing on your visit make it a popsicle! 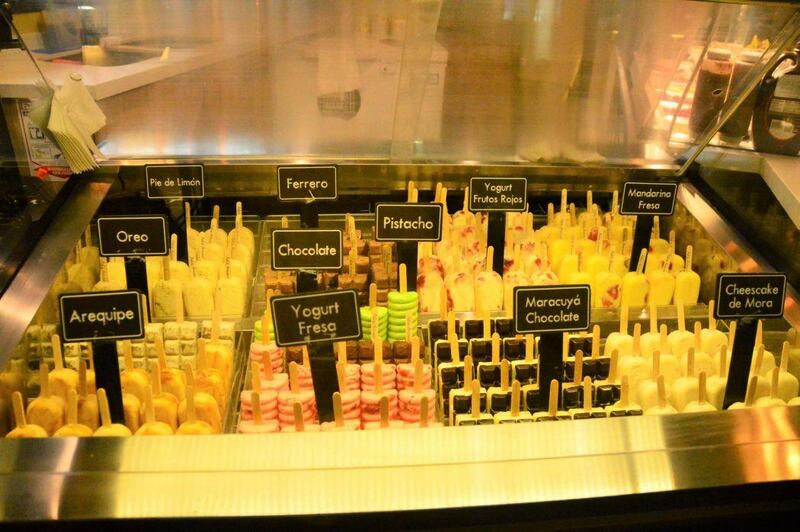 They have some amazing popsicle stalls and they actually taste even better than they look! 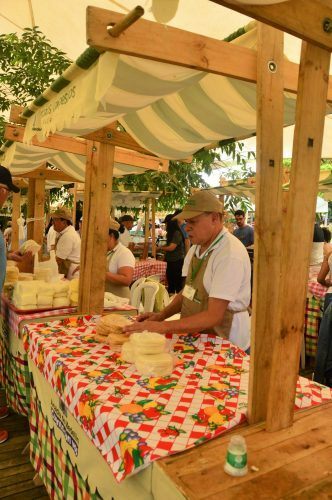 Every Sunday there is a Farmers Market in El Poblado. It is quite small but the quality is high. 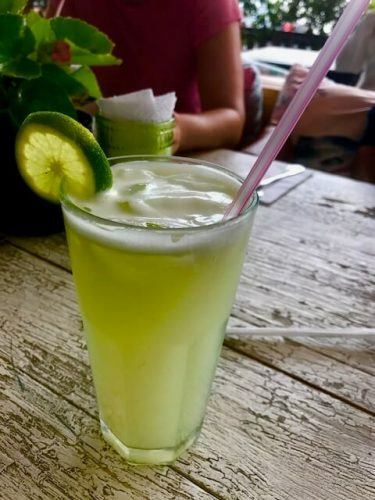 There are quite a few eat now options – and some amazing fruit juices of course. And also some great take away options if you are staying in Medellin. Getting the passionfruit juice going! 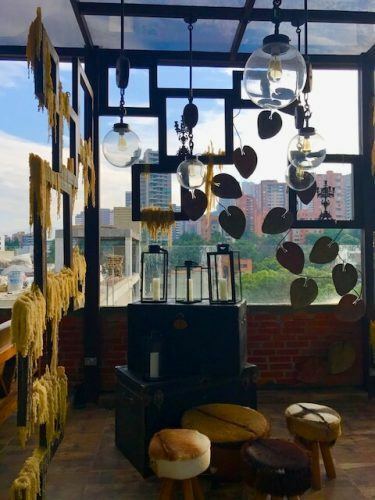 I had a fantastic stay in the Art Hotel Medellin – read my review here. For prices and availability click here. 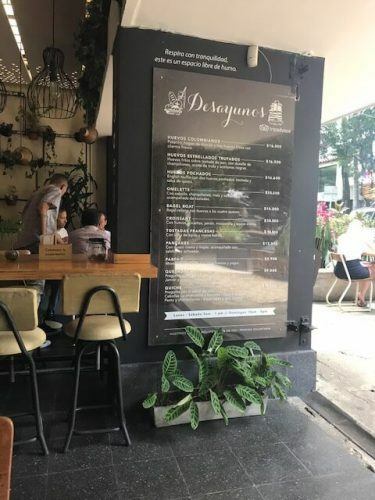 I would highly recommend staying in the El Poblado area for first time visitors as it is full of great restaurants and shops and easy to get around. 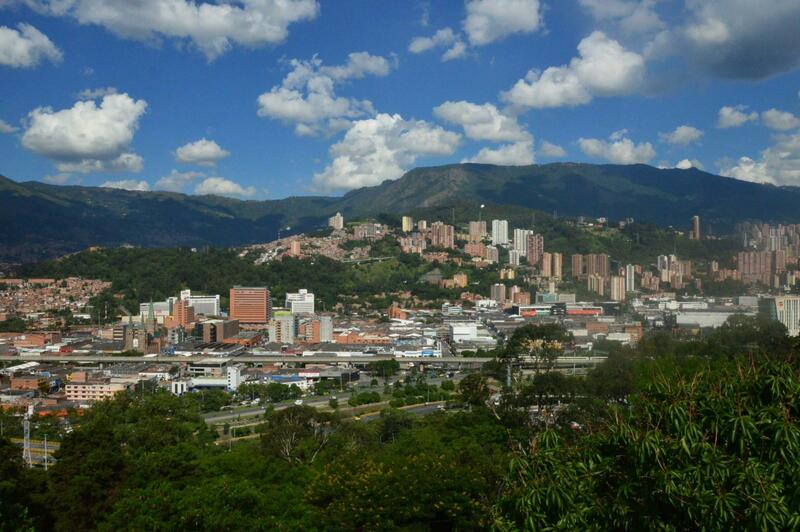 It is also very tourist friendly and just makes life a bit easier so you can enjoy Medellin. I also used the gym at the Charlee Hotel and it was lovely! It also has a great central location in Medellin and a fantastic rooftop bar and pool! The rooms are gorgeous and they also have a great restaurant on the ground floor. Click here for prices and availability. Super cool bar area at Art hotel Medellin! I have also read good things about the Diez Hotel Click here for Prices and Availability. For a quieter option in the centre of town check out The Sites Hotel Prices and Availability Here. And Hotel Loyds is another good option in El Poblado – Click here for Prices. 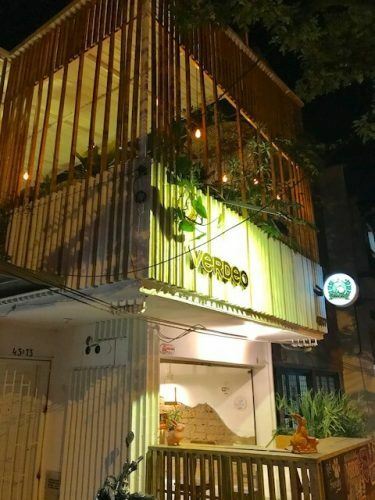 Often cited as the best café in Medellin and for good reason. 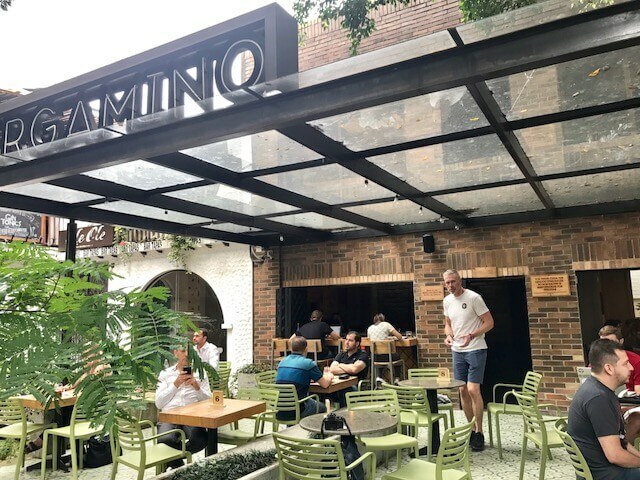 Pergamino has mostly outdoor seating and is a lovely area that is very popular with locals and digital nomads. 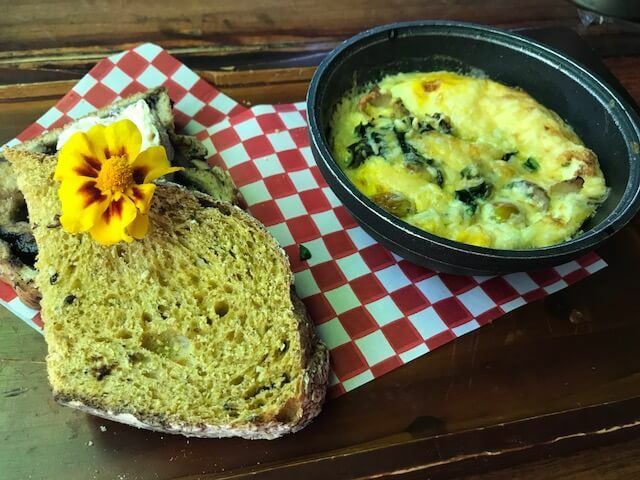 They have excellent coffee and a great menu of interesting brunch and lunch options. 37 Park is a bit of everything. It’s inside and it’s outside. It’s a little bakery and it’s a bar. It’s a restaurant and a café. It appears to be open all the time. And I really liked it! 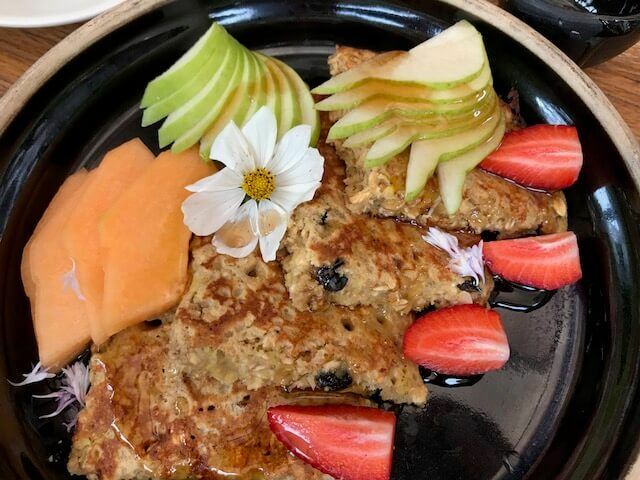 They do a fantastic brunch – interesting selections, great flavour combinations and good coffee. It is also a great place to meet for a drink and/or to have dinner. Fantastic coffee! And such a lovely space! Velvet is quite a long thin restaurant with a terrace at the front and an area in the back that is flooded with light. It is a popular choice for digital workers and there are laptops at dawn. The breakfast menu is more limited but they do have delicious pastries and some nice yoghurt and muesli offerings. But the key reason to go here is the amazing coffee! 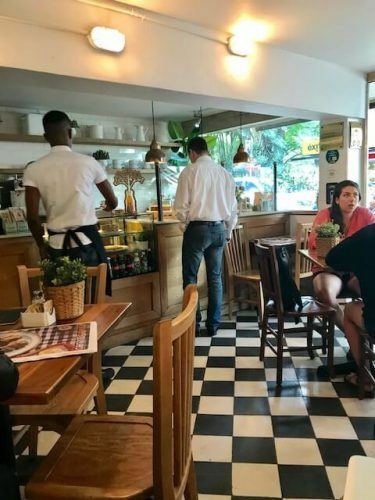 My favourite brunch spot in Medellin! They do a big brunch menu and have quite a few fusion western options. They have this amazing brioche type bread that isn’t actually brioche but gosh it tastes good! Al Alma also has a bakery so you can buy this takeaway. And they do a proper English style fat pork sausage which is great on the brioche and their sweet cream cheese type spread. 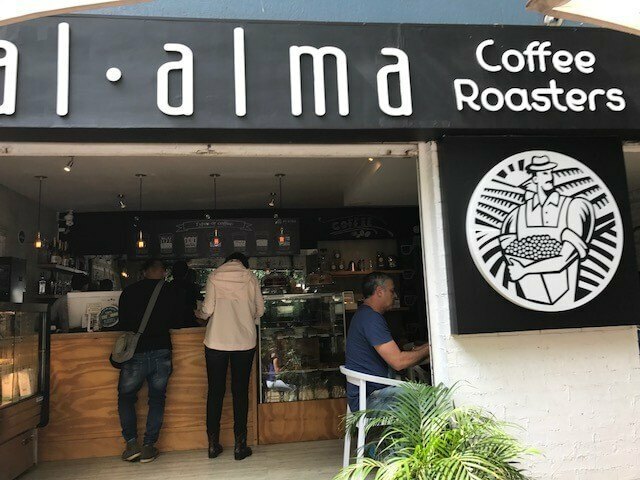 There is seating outside as well as seating sprawling out onto the small street where Al Alma is located. 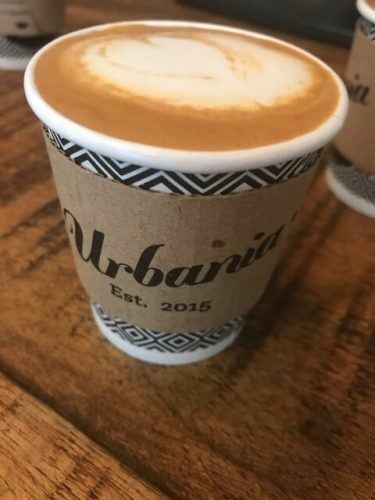 Urbania has outstanding coffee and some delicious local chocolates. It is quite small so best suited to take away coffee rather than digital nomad working. 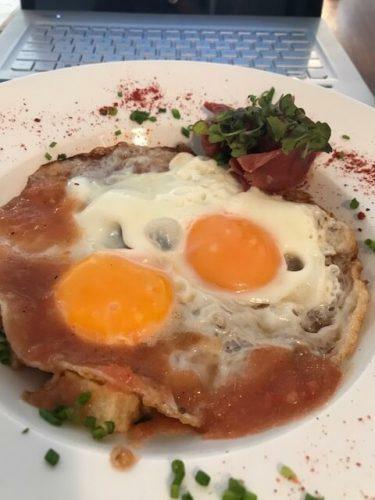 Fantastic breakfasts but bad coffee! 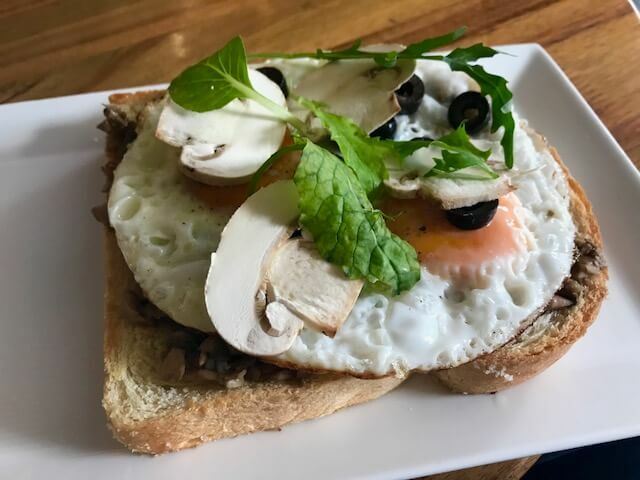 Interesting breakfast menu and tasty. Decent coffee but not as good as Pergamino and Velvet. 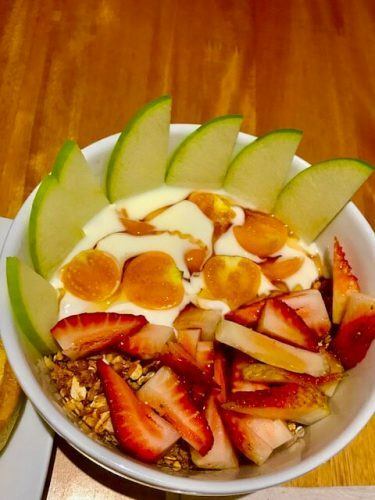 Medellin’s most beautiful breakfasts! They are well known for their amazing use of avocados. Nice location and good coffee. 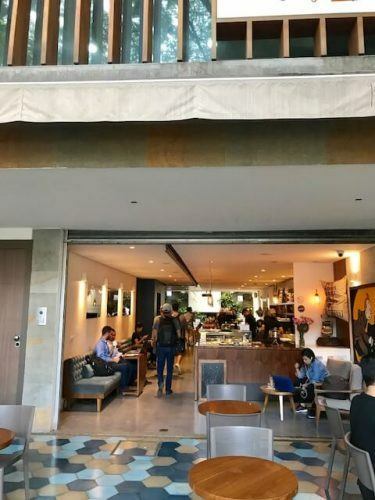 Restaurants and cafes in Medellin are opening and closing all the time! Please do let me know any updates or different views and I will look to incorporate them into this post! When visiting Medellin don’t miss the city’s number one day trip to Guatape – you can read my complete guide here. I also really enjoyed visiting Bogota when I was in Colombia which was unexpected! Read about it here. Don’t leave home without travel insurance Click here for a good deal. If you like my post Why Not Pin It? If you click through on the links that appear on my blog posts around flights, accommodation, tours, travel insurance etc I get a small commission if you end up buying on these sites. Just wanted to let you know! 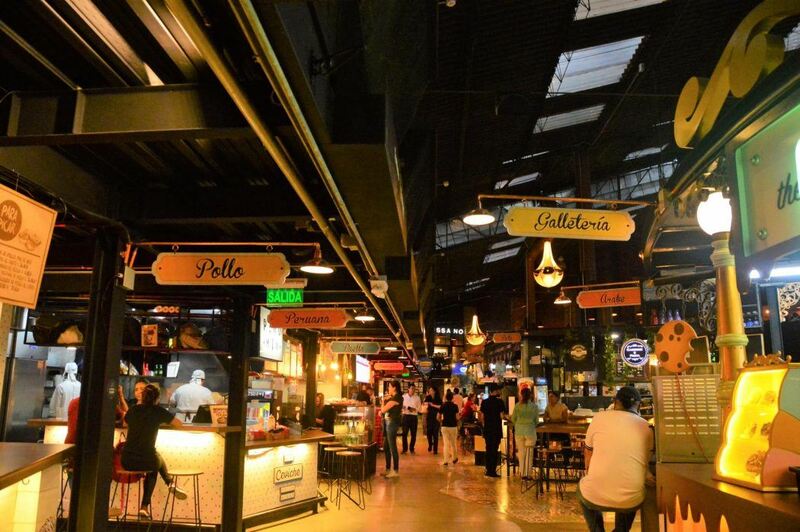 Medellin Colombia has a delicious and fantastic value restaurant scene. 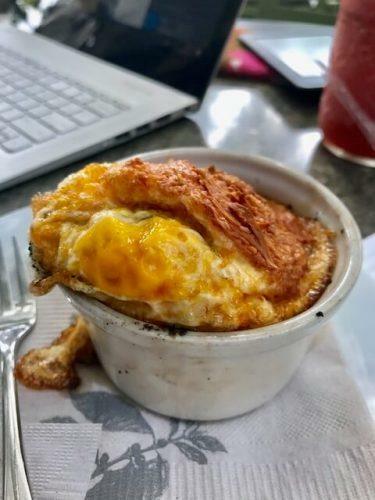 There are so many great restaurants and cafes popping up – here are the ones you don’t want to miss!! I am sitting across from La Causa right now reading this post at the Starbucks in Laureles. (I came across this post on Pinterest and was curious to see if I had eaten at any of your top picks.) I’ve heard great things about that restaurant and plan to try it soon. Are you still here in Medellin? Thanks Jan! 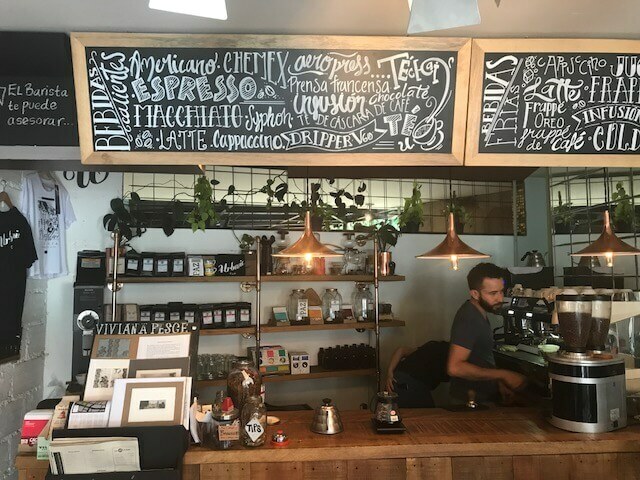 I highly recommend Pergamino – great coffee and great pastries and food! Velvet is virtually across the road so you can try out both in one visit! I’m taking my girlfriend to OCI for date night tonight and, based on your rave reviews, I’m drooling already. Did you happen to have any favorite menu del dia spots in the city? I’m trying to visit all of the top ones to find the best. Chris how did it go? I am confident Oci delivered! Gosh Menu del Dia – I didn’t do too many of those although I think you can get some great deals. Let me know any you find and I can update my post!